Sugar plum is a fruit from Africa. It can be commonly seen growing wild upto an elevation of 1850 m in Tropical Africa from Burundi south to Zimbabwe and Mozambique It is one of those wild growing fruits, which have been selected for domestication. 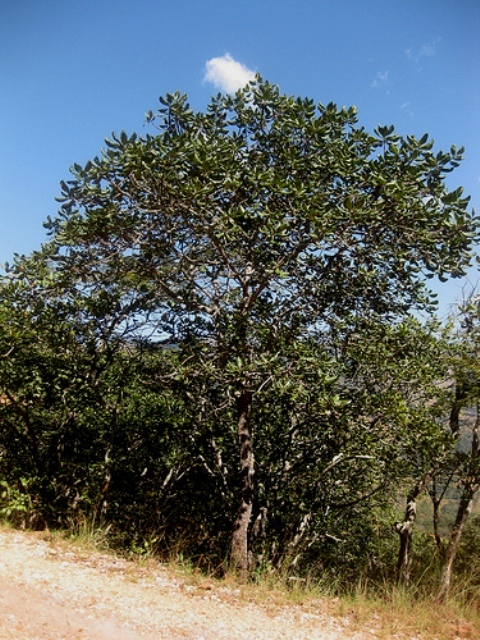 Small evergreen, much branched tree upto 12 m high. 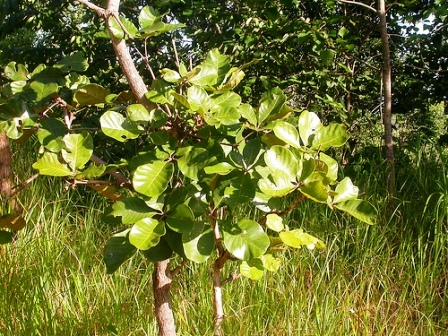 Leaves alternate, clustered at the end of branches, large 15 cm long, ovate to obovate, dark green, leathery; margin entire, rounded, often distinctly curled from midrib in the shape of a saddle. 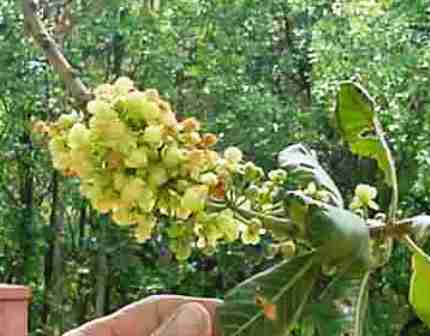 Flowers inconspicuous, yellowish, unisexual often but not always, sexes on different trees. Fruits spherical, fleshy, rusty yellow or orange yellow, 2.5 cm in diameter. The fruits are edible. These are collected by local people in large quantities during the season. 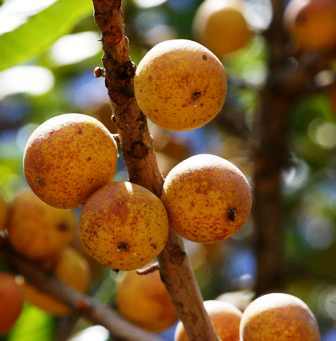 The fruits are used in various ways. In local medicine, a decoction of sugar plum roots is a remedy for menstrual complaints, syphilis, indigestion, dysentery, infertility and bilharharzia. It is also said to be a remedy for tuberculosis. New trees of sugar plum are being planted under various afforestation and tree planting programmes in Zimbabwe. New plants are raised from seed only.